Congratulations to Powdersville Girls Tennis on finishing their season as one of the Sweet Sixteen teams in Class AAA. Powdersville fell to Union County 6-1 at home on Monday, October 29, 2018. Madison Gosnell won in singles for the Lady Patriots. 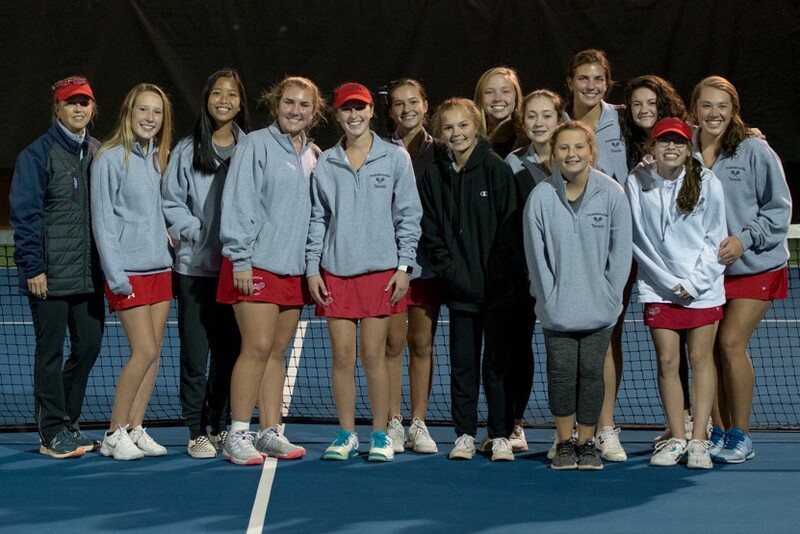 All the Lady Patriots fought hard in each of the singles and doubles matches. Powdersville finished the season with a region championship and a playoff win. Congratulations to freshman Ryann Roth who has been selected to play in the Class A/AA/AAA Singles Tournament November 12-13. Best wishes to all our girls’ tennis players as they move on to other sports and activities. Looking forward to seeing many of these young ladies back on the courts next year! #MakingHistoryEverySeason #GoPatriots! !